Business & Investment Opportunities on Land, Sea & Cyberspace! Specializing in the valuation, sales and financing of closely held Cape & Islands companies. Experienced in matching buyer and sellers, facilitating the negotiation process and identifying financing resources. A CAPE COD BUSINESS OF YOUR OWN! A recent national study ranks Cape Cod as number 2 on the list of “happiest” places to live and work in the USA. It is one of only a handful of metro areas where a majority of residents report having enough money to do everything they want. Just 6.6% of area residents live in poverty, one of the lowest rates nationwide. Well-educated populations tend to be more financially stable, and report greater well-being. In the Cape Cod area, 40.1% of adults have at least a bachelor’s degree, one of the highest educational attainment rates of any metro area. Affluent, college-educated people often have an easier time reaching their personal goals. When asked, “in the past 12 months, have you reached most of your goals,” over 60% of respondents said yes, the sixth highest such percentage of all metro areas reviewed. We specialize in representing clients in the purchases and sales of closely held businesses, income property and development opportunities throughout Cape Cod and the SouthCoast. What sets us apart from a local real estate broker is our requirement that potential buyers be pre-qualified by experience and financial means and our commitment to protect your confidentiality. A well known and respected figure on Cape Cod, Jim has more than 35 years experience as a business and civic leader. Following executive stints with large organizations he used his entrepreneurial talents to found and grow a number of prosperous concerns. His expertise as a business consultant, his knowledge of the Cape's economy and his own experience in buying and selling businesses is a benefit to both buyers and sellers and adds value for our clients. In addition to his business experience, Jim is an acknowledged community leader, he is past Chairman of the Board of the Cape Cod Foundation, a trustee of the Cape Cod Association and the Joshua Nickerson Society. He has served as President of the Mashpee Community Concert Committee, as a member of the Cape Cod Economic Roundtable and as a Trustee for Spaulding Rehabilitation Hospital - Cape Cod. For many years he has spearheaded the popular Mashpee Night at the Pops and served several years as Chairman of the Mashpee Board of Selectmen and as a Director of the Cooperative Bank of Cape Cod. He has been honored by the Chamber of Commerce as Citizen of Year. 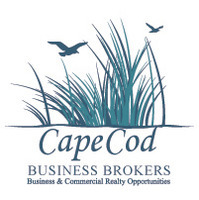 We can assist qualified buyers in securing the financing required to purchase your Cape Cod business. We have years of experience in providing business valuation services. We are retained by lenders to value businesses and also assist buyers considering the purchase of a business by providing an unbias opinion of value. Our valuations are comprehensive and our fees are reasonable and affordable.